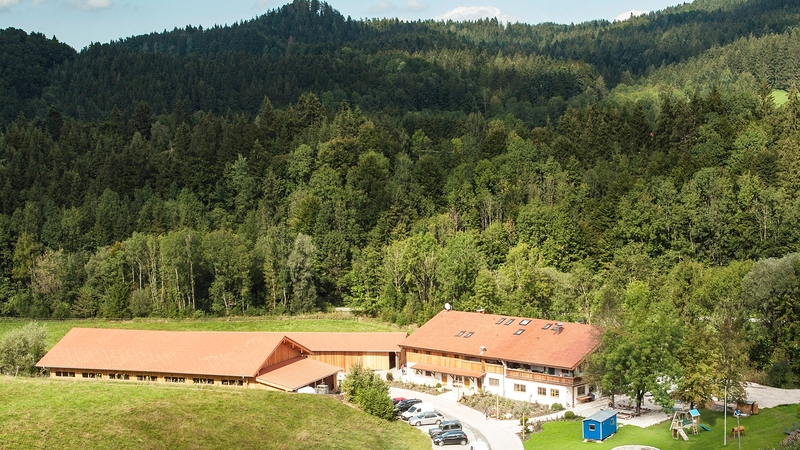 Lovely Dauscher Hof is located in the very heart of Old Bavaria in the Chiemgau region. A small and winding road leads to us - connecting Dauscher Hof with the two villages Siegsdorf and Inzell. Our luxury holiday homes have been awarded 5 stars by the "German Tourist Association" (Deutscher Tourismusverband). Kids love our huge playground where they can enjoy themselves in the sand box, the play house and a converted construction trailer for creative art works. Of course, we also have a whole fleet of funny vehicles, like cars, tractors and more. On rainy days our small guests enjoy themselves inside the house: Our billiard room and a cellar-vault promise to be as entertaining as the outside world. And our private cinema makes you feel special at any time of the day. Just ask us to play your favourite movie. We want to emphasize that we do explicitly welcome guests with health conditions or impairments, families with kids and senior citizens. We have six wonderfully furbished holiday homes. Four of them have a barrier-free access - and thanks to our elevator everyone can choose their preferred home, may it be on the ground floor or on the upper levels of the house. Come to lovely Bavaria and spend a wonderful time at Dauscher Hof. We will make sure your vacation in the Chiemgau region will become the most wonderful vacation you've ever had! Each of our luxury holiday homes has its own name and style. Which one is your favourite one? Your vacation at Dauscher Hof is what you've always been dreaming of. Apart from the hotel amenities that you can find at Dauscher Hof holiday homes you can also participate in special classes in therapeutic horseback riding. Therapeutic horseback riding may facilitate the cure and healing of mental, social and physical health conditions or impairments. 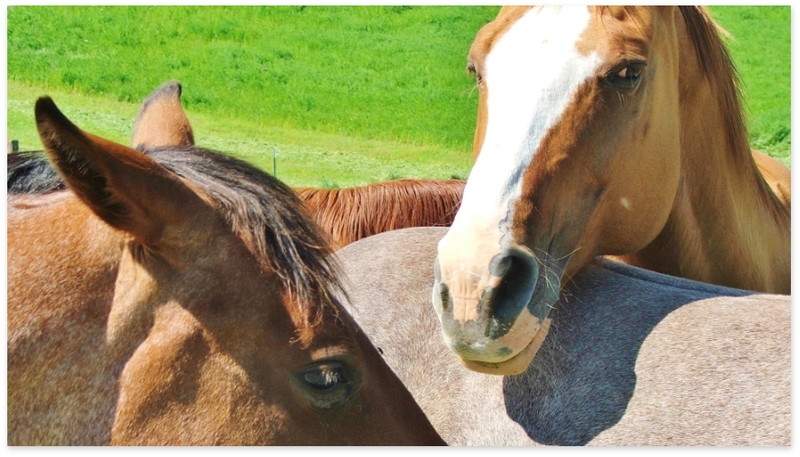 Working with horses has a positive impact on the development of personality. It empowers self esteem and the ability to relate to others. The back of the horse may give a momentum to experience a new physical well-being and faith. Horses do have influence on humans - not only physically but also mentally. The contact between animals and humans is direct, honest and without any reservation. And the immediate and true joy of therapeutic horseback riding explains why this form of therapy is so successful. You can also mark several days.